Under a separate stock incentive program, Marchionne was also granted the right to receive 2.3 million Fiat shares -- worth about $25 million at current prices -- but has yet to exercise that right. MILAN (Reuters) -- Fiat Group paid CEO Sergio Marchionne 3.6 million euros ($5 million) in cash last year, including a bonus and incentives, down from 4.5 million euros in 2012, the group's compensation report showed. Marchionne had a fixed remuneration of 2.3 million euros and a 1.3 million euro bonus for reaching certain performance targets, Fiat said in a statement on Monday. The company didn't identify the targets used to calculate the bonus. Under a separate stock incentive program, Marchionne was also granted the right to receive 2.3 million Fiat shares -- worth about $25 million at current prices -- but has yet to exercise that right, the company said. 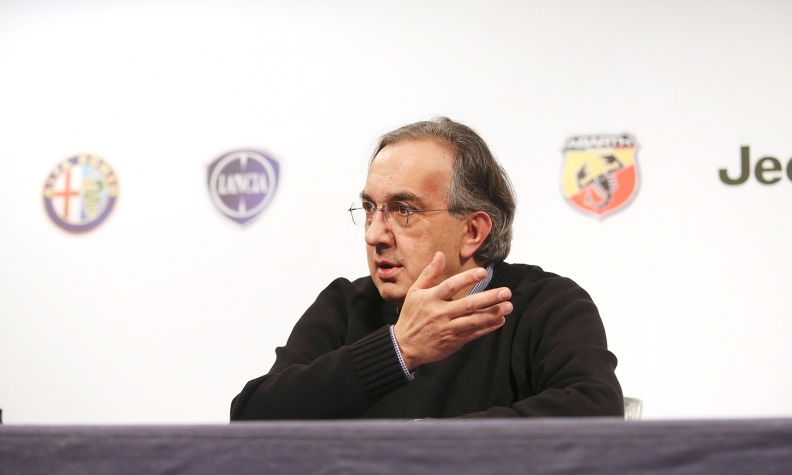 Marchionne already held 3 million Fiat shares at the end of 2013. Fiat, which earlier this year took full control of Chrysler Group, said Marchionne did not receive any monetary compensation for his role as CEO of Chrysler. However, he received benefits and stock awards worth $307,989 last year for heading the U.S. automaker, according to a company filing with U.S. regulators. Marchionne has been CEO of both automakers since Chrysler emerged from bankruptcy in 2009 and will stay as the head of the merged Fiat Chrysler Automobiles for at least the next three years. The 61-year-old executive did not use existing stock option plans during 2013. Fiat reported a 2013 trading profit of 3.39 billion euros, down from 3.54 billion the previous year, primarily hit by a weaker performance in Latin America. It scrapped its dividend on 2013 earnings to preserve cash after taking control of Chrysler. Marchionne is due to unveil a new industrial plan in May, including new models for the Maserati, Alfa Romeo and Jeep brands that the company will produce for export to Asia and the Americas. The plan seeks to restore Fiat to profitability in Europe, a market only slowly recovering from a six-year slump in auto sales. In addition to Chrysler and Fiat, Marchionne was also paid 2.1 million euros for his role as executive chairman of tractor and trucks maker CNH Industrial. The company was created last year from the merger of Fiat Industrial and its CNH unit. Marchionne has the right to receive 366,667 CNH Industrial shares for 2013 under the company's stock incentive plan, but has yet to exercise that right, CNH said.